Seattle, WA : Fantagraphics Books, c2000. Description: ii, 227,  p. : chiefly ill. ; 26 cm. 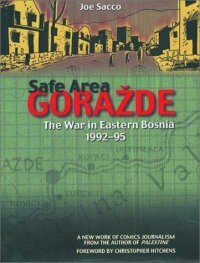 Yugoslav War, 1991-1995 -- Goražde -- Comic books, strips, etc. Goražde (Bosnia and Hercegovina) -- History -- 20th century -- Comic books, strips, etc.